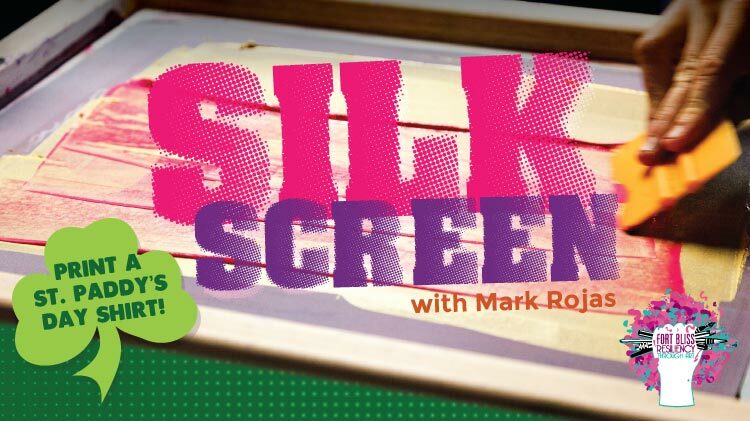 Date: Mar 2 2019, 10 a.m. - 3 p.m.
Join us for a fun family event and learn how to create a St. Patrick's Themed silk screened print or screen a pre-screened image on your own pre washed t-shirt. Open to DOD ID Cardholders. *Children must be accompanied by an adult. $25, includes instruction and most materials. Space is limited: Reservations can be done at Auto Crafts (820 Marshall Road).